After years of working with MassHealth on an update to home health care payment rates, and after learning that the rate increase was set, the Governor pulled the payment boost as part of his recent budget-balancing plan. The Home Care Alliance delivered a letter to the Governor blasting the decision as part of a “failure to recognize home health care as a vital part of the health care continuum.” The letter noted that rates have not been increased since 2007 and were cut in 2008 for some of the state’s most vulnerable patients that receive home health care services. At that time, payment was cut by 20 percent for services lasting beyond 60 calendar days of care. This, according to the letter, essentially means that “agencies are being reimbursed in 2014 at rates set in 2007 and cut in 2008.” Moreover, the rates were already well below the cost of providing care that brings MassHealth savings by preventing or delaying costlier facility-based care. Part of the hand-off to incoming Governor-elect Charlie Baker was to slash a state budget deficit of $239 million. From that amount, $68.5 million came from MassHealth services. Although MassHealth home health services were not directly cut, the payment rate being pulled was a blow to agencies and advocates that heard only a week earlier that the rate increase was set for March 1, 2015. The administration had planned for a $8 million increase, although it was unclear how that funding was going to be implemented. As with 2008, the “thoughtful approach” did not include the cost-efficiency home health services bring to the table. Nor does it take into account the money agencies lose every time a nurse goes to a patient’s home to provide care because the cost of providing services far exceed reimbursement. The Home Care Alliance will continue to make MassHealth payment a policy priority through the state budget process. US Senators representing the New England states have stepped in to send a letter to CMS regarding the onerous medical review process relative to the Physician Face-to-Face Requirement being undertaken by National Government Services (NGS), which is the Medicare Administrative Contractor (MAC) for the region. The state home care associations in the region, including the Home Care Alliance, worked together to draft the letter, gather data, and mobilize agencies to ask that Senators sign on to the letter. The letter to CMS Administrator Marilyn Tavenner convey that the reviews and unjustified claim denials could “jeopardize seniors’ access to home health care” and that any measures meant to attack fraud and abuse should be clear, consistent and not threaten a beneficiary’s ability to receive needed care. The letter also highlights that, in some cases during 2014, withheld and denied reimbursements have exceeded the cost of a two-week payroll for some agencies. Consider the feasibility of working with home health agencies to reopen or settle claims related to F2F in a manner that is equally fair to both taxpayers and home health providers. Such considerations could include analysis as to whether an agreement similar to the administrative agreement process recently offered by CMS to hospitals that have a high volume of backlogged claim denials would be appropriate for backlogged home health claims related to F2F. 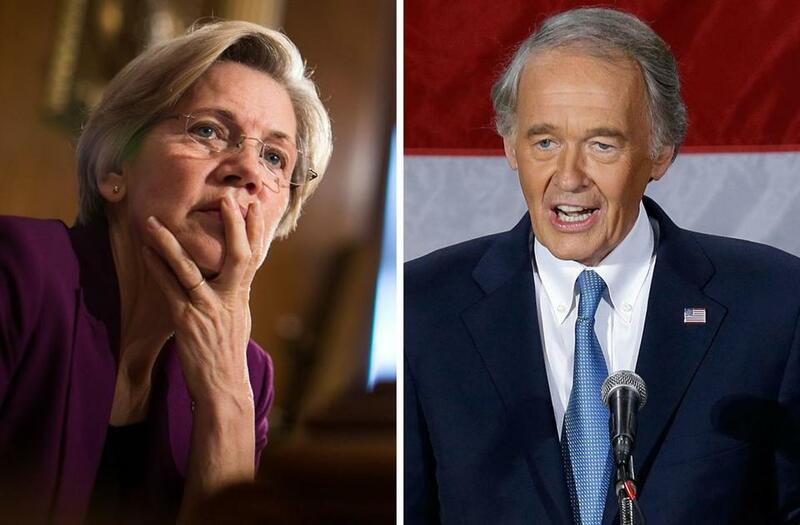 Nine of the twelve US Senators representing the New England region signed on, including both Massachusetts Senators Elizabeth Warren and Ed Markey. The Alliance thanks them for their continuing support of home health care issues and particularly efforts to improve the Physician Face-to-Face Requirement. With a new Governor coming into office in January and a $329 million budget shortfall, the Patrick Administration was forced to make reductions to close the deficit. A large chunk of those cuts came at the expense of MassHealth, which makes up slightly more than half of the state’s $36.5 billion fiscal year 2015 budget. MassHealth officials contacted the Home Care Alliance to report that $68.5 million in reductions had to come from MassHealth alone and that a rate increase for home health agencies is no longer on the table for FY15. The Home Care Alliance had seen hints that there finally would be a review of MassHealth home health care rates after years of being passed over. Rates were frozen in 2007 and one of the Patrick Administration’s first cuts were from home health services past 60 calendar days of care. The rate inexplicably dropped by 20 percent for patients who require longer-term home health care and that cut has not been revisited. Also cut was $1.52 million from the Elder Affairs’ “Home Care Purchased Services” line item that will go into effect on December 1st at which time the waiting list for Aging Service Access Point (ASAP) services could go back into effect. Officials from Elder Affairs indicated the lowest priority level would be the only one impacted, which preserves those in the greatest need for care. The bright spot is that the Home Care Alliance’s efforts to gain MassHealth reimbursement for telehealth provided by home health agencies is not impacted and plans to implement rates and guidelines is going on as planned. Moreover, home health rates are, more or less, remaining status quo and are not being reduced further. Nursing Home Supplemental Rates, for example, were slashed by $9.1 million. A rate review for home health services remains a top priority and the HCA will continue to work with the legislature and MassHealth on improving payment. Each November, the Home Care Alliance joins agencies and organizations across the state and the country to celebrate National Home Care & Hospice Month by raising awareness of the value of home-based services and recognizing the clinicians and aides that deliver those services. The Alliance is promoting a special Home Care & Hospice Month webpage with useful information for consumers explaining home care and how to find the right provider for a loved one or friend. The website also has info for home health and home care agencies about how to promote and celebrate the month-long event. Especially useful for consumers is the “Home Care FAQ” page on the Alliance’s Home Care & Hospice Month website. Not only does this resource address questions like “How do I pay for Home Care?” and “How do I assess my needs?,” but also provides a list of questions for consumers to ask home care agencies. That way, consumers can be sure they’re getting the best possible care for themselves, a loved one or friend. Social media is a big part of the HCA’s awareness campaign so the Alliance is asking that any agencies with clinicians or aides they would like to recognize can send a photo to James Fuccione with the person’s name and title so we can spotlight them on our Facebook page. If your home care or hospice agency has any events or activities being carried out this month for the event, please let us know via Facebook and twitter (@thinkhomecare). If you are a consumer, be sure to check out our Home Care & Hospice Month webpage! The latest available quality performance measures from Medicare’s Home Health Compare database for all Alliance member agencies was posted this week to the PatientCareLink website. The website is hosted by the MA Hospital Association, and the home health data is posted through a joint agreement between the Home Care Alliance and MHA. To view the updated reports, visit www.patientcarelink.org and click on the “Healthcare Provider Data” tab and then “Home Health Agency Data” and then “Select an Agency.” The reports now incorporate data for the period July, 2013 – June, 2014, for all measures except measure #30, which is for the period of April, 2013 – March, 2014. In addition to each home care agency’s individual performance, the PCL pages also provide a comparison to the U.S. agency average scores. You are currently browsing the Think Home Care Blog blog archives for November, 2014.